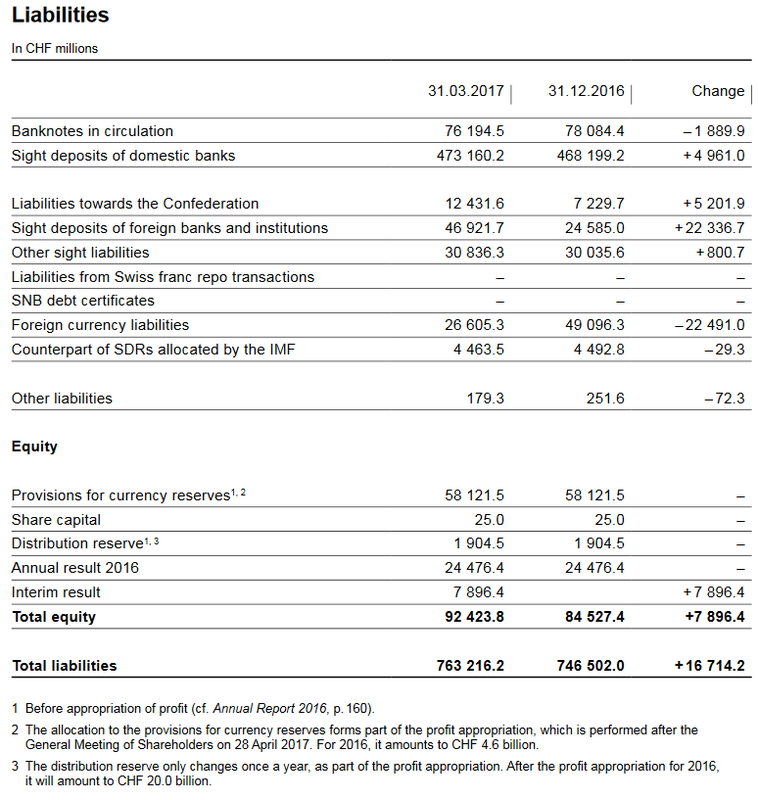 The Swiss National Bank (SNB) reports a profit of CHF 7.9 billion for the first quarter of 2017. A valuation gain of CHF 2.2 billion was recorded on gold holdings. The profit on foreign currency positions amounted to CHF 5.3 billion. 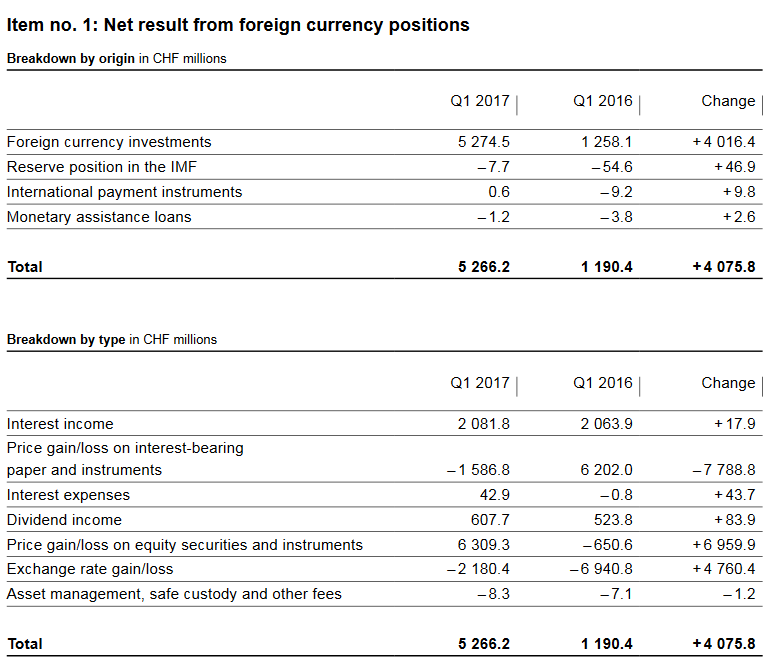 The net result on foreign currency positions amounted to CHF 5.3 billion. Interest income accounted for CHF 2.1 billion and dividends for CHF 0.6 billion. Movements in bond prices differed from those in share prices. A loss of CHF 1.6 billion was recorded on interest-bearing paper and instruments. By contrast, equity securities and instruments benefited from the favourable stock market environment and contributed CHF 6.3 billion to the net result. Overall, exchange rate-related losses amounted to CHF 2.2 billion. 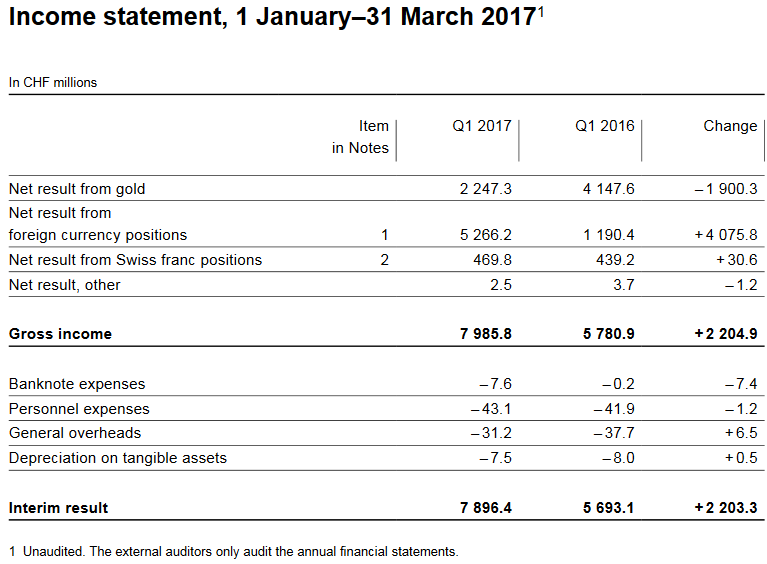 A valuation gain of CHF 2.2 billion was achieved on gold holdings, which were unchanged in volume terms. Gold was trading at CHF 40,045 per kilogram at end-March 2017 (end-2016: CHF 37,885). After long years, the part of gold is rising again, albeit only slightly. 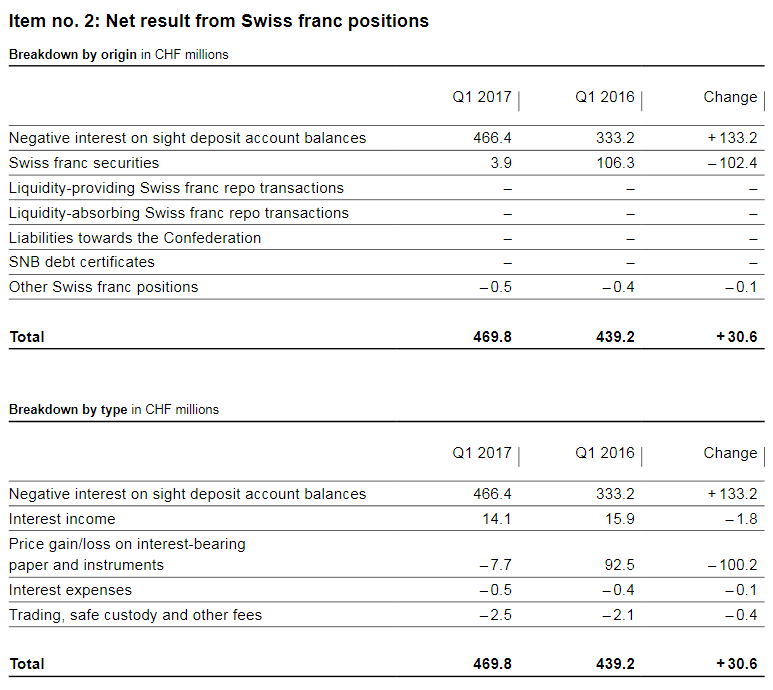 The profit on Swiss franc positions, which totalled CHF 0.5 billion, essentially resulted from the negative interest on sight deposit account balances. 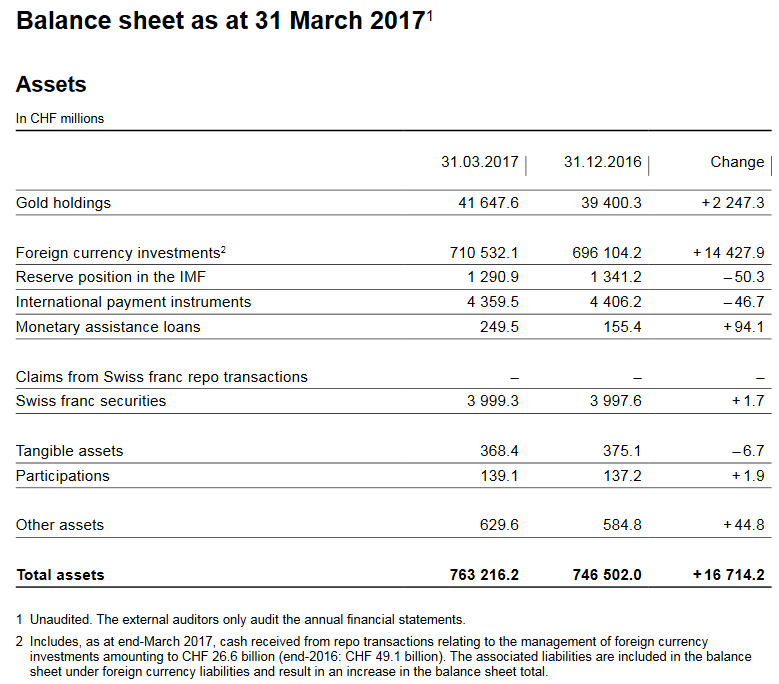 As at end-March 2017, the SNB recorded a profit of CHF 7.9 billion, before the allocation to the provisions for currency reserves.